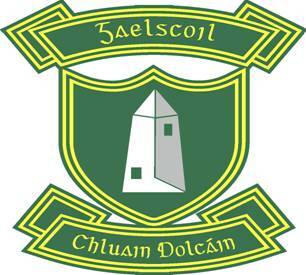 Tá Leabharlann iontach again sa scoil. We have a wonderful library in Gaelscoil Chluain Dolcáin. Our school uses the 'Junior Librarian' computerised system to track the books in our library. Usáideann an scoil an córas Accelerated Reading ó Renaissance Learning. Our school uses the Accelerated learning Programme from Renaissance Learning. This is an on-line programme to test children's reading ability, to suggest a book level and to tract their progress through on-line quizzes.